Can you believe it the snow is back!! This means not much going out and lots of baking cakes inside today. Got to take the children to school so I might just nip to the gym for a quick run on the treadmill first. 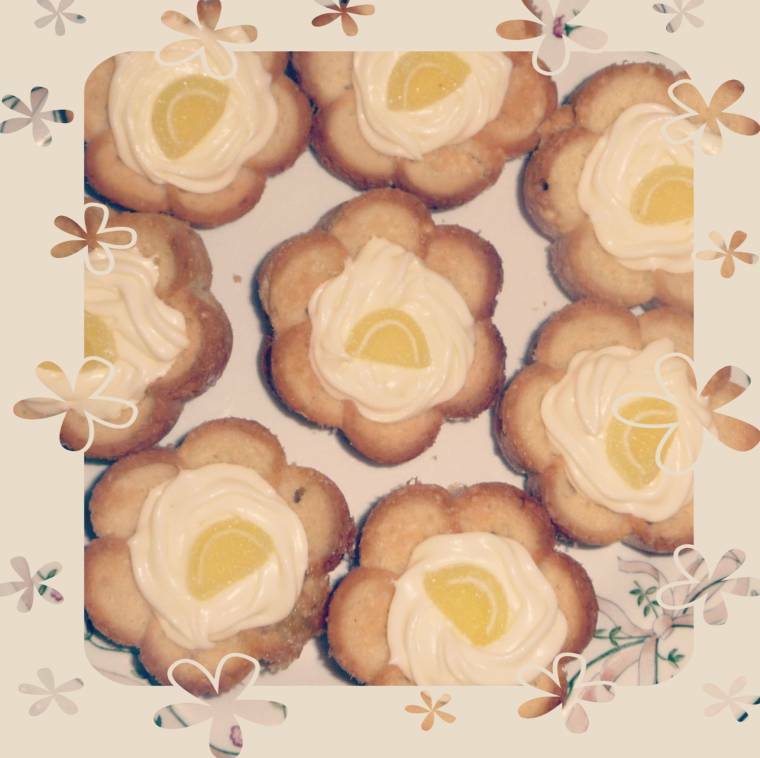 Made these lemon flower cakes over the weekend and they are lovely, sweet, tangy and very very moreish. Make the cheesy butter cream first and place into a icing bag and leave into fridge until ready to use. Sieve the icing sugar into a bowl, add the cream cheese, butter and lemon juice. Beat together with a electric whisk. Place into icing bag then into the fridge. Grate rind of lemon set aside. Place butter, sugar and eggs into a large bowl and whisk until light and smooth. Add flour, milk and lemon rind, mix again. Spoon the cake mixture into the cake trays. Bake for around 20 minutes until golden. Leave 5 minutes then turn out. Prick the cake with a small skewer a few times the place a little lemon juice on a teaspoon and sprinkle of a few of the cakes at a time, whilst the cakes are still warm. Pipe the cream onto the buns and place a lemon sweet in the middle. "03/02 Creative Mondays Blog Hop…"
"Not Snow Again !! & #Runstreak Still Going On…"
These are so cute! I am about sick of the snow, we get a inch or two EVERY day, with the cold, cold temps, it is just enough to make the road slick. Angie G.
These are lovely! I am a huge fan of lemon and am always looking for new recipes to try! Thanks for sharing. I found you via the Him & Her "Tell Me Tuesday" linky party and am a new follower!